We keep a larger number of male breeding animals than most farms. Genetic diversity is one of our foundation farm goals and we typically utilize 3-5 breeding rams each season. This allows us to offer unrelated starter flocks to our customers and maintain a low inbreeding co-efficient within our own flock. Painted Rock does not participate in improvement breeding practices, which generally select for 1-2 specific traits. 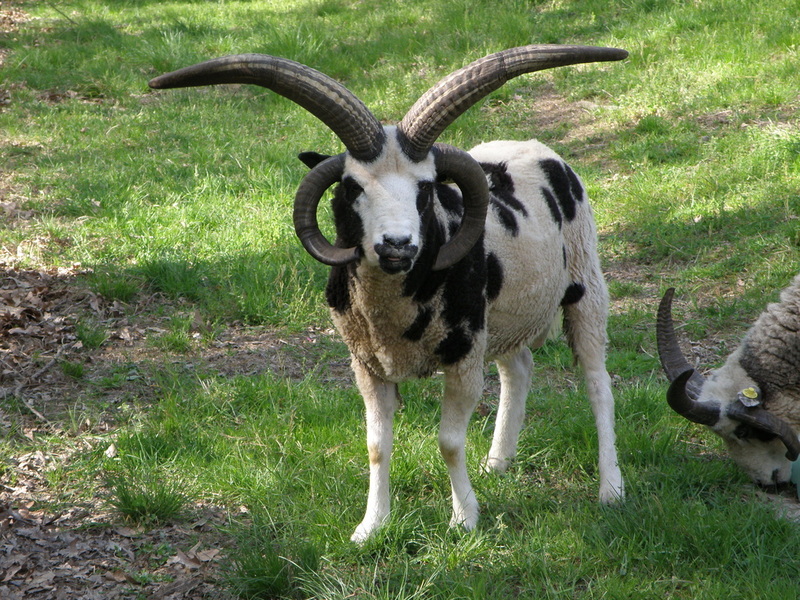 Instead, we celebrate the uniqueness of the Jacob sheep in all of its splendor! 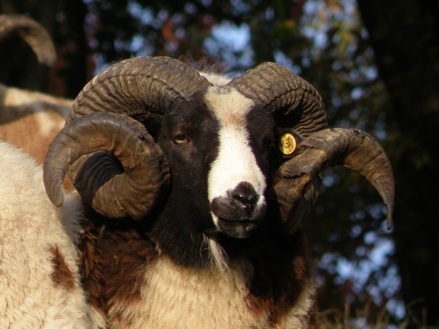 You will find both two & four horned animals here, a variety of markings and spotting patterns on amazing wool. Temperament is vital and we feel this is a heritable trait. So, we expect good manners from our flock sires both with us and with the ewes. 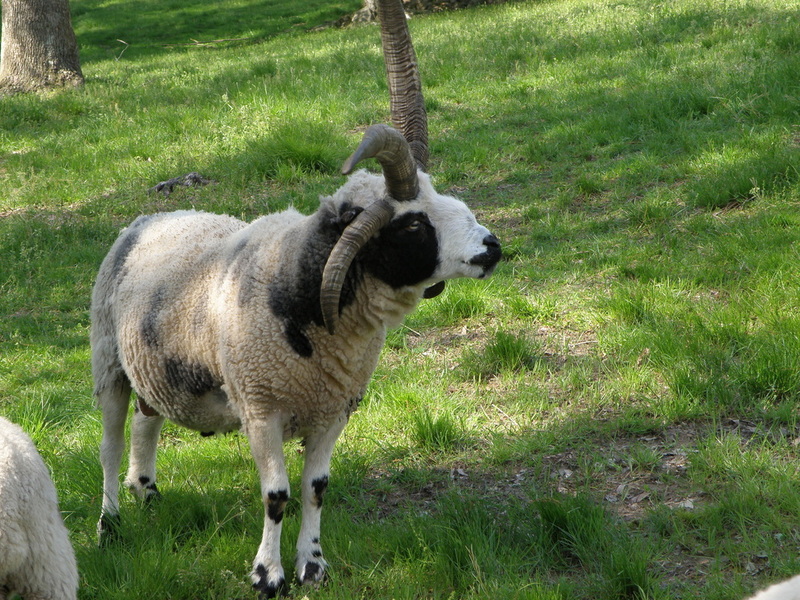 When adding a ram to your flock, purchase a QUALITY animal from a well known breeder (like us!). Avoid auctions and markets as you are likely to end up with someone's culls. Your ram can greatly improve the quality of your flock so choose wisely! Current flock sires we are using in our breeding line-ups. Collection of rams who are "on deck" for breeding ewes here at the farm. Many wonderful rams have contributed to building our flock. Check them out!